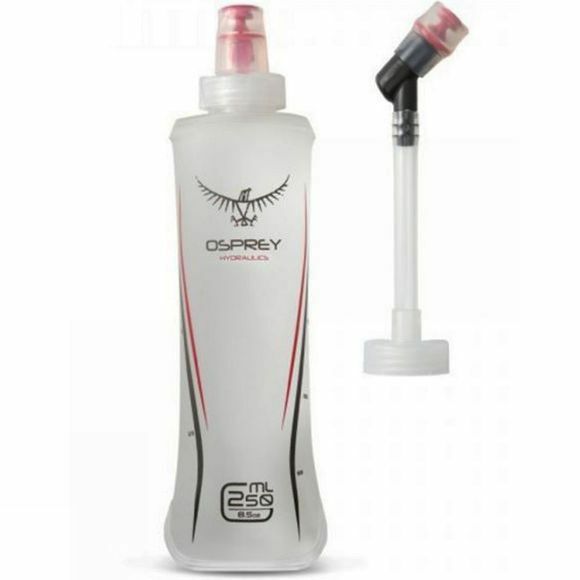 The Hydraulics™ SoftFlask 250ml from Osprey is ideal for keeping hydrated while you hike, run or cycle. Compatible with most new Osprey backpacks, the SoftFlask is ultra-lightweight and packs down when empty, fitting neatly in your pack's mesh pocket. The flask comes with a sports cap, making it ideal for keeping hydrated during high intensity activities, and an extension hose for use with packs.